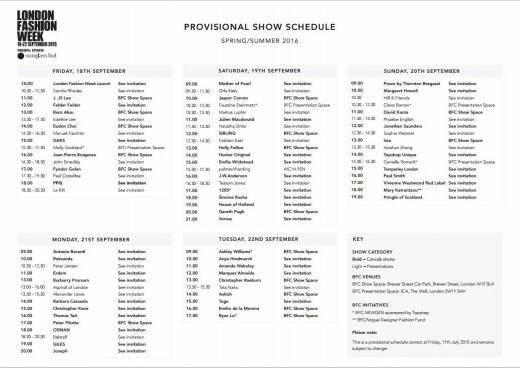 Mark your fashion calendars folks – the provisional show schedule for London Fashion Week SS16 is now live! Over 75 designers are confirmed to show in London, 18th – 22nd September 2015. New designers this season include Hill & Friends, Versus & Zandra Rhodes.